Popular calendar app, Sunrise, will be shutting down soon as Microsoft focuses on Outlook instead. Sunrise was purchased by Microsoft in 2015 for upwards of $100 million. The shuttering of Sunrise shouldn't be a surprise, as Microsoft has been slowly adding its best features into Outlook. The app made it easy to create and manage events in your calendar. It featured natural language recognition and presented events in an easily glanceable way. Sunrise even had its own keyboard that let users create meetings quickly, without leaving their current app. The good news is that the Sunrise team will continue working for Microsoft but on Outlook instead. This means there's hope that Sunrise's best features will make it into Outlook eventually. 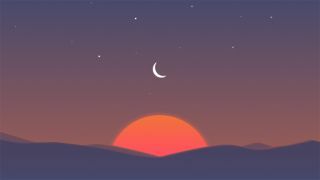 "As heartbreaking as this sounds, we're hard at work bringing the magic of Sunrise to the Outlook apps, with all your most loved features - interesting calendars, event icons and calendar apps," writes the Sunrise team in their goodbye letter. Outlook has gotten surprisingly good over the years, especially on mobile. The app lets you schedule emails to respond to later, integrate with cloud storage and features gestures to help you sort your email. Let's hope Microsoft continues taking the best features of Sunrise and building them into Outlook.